Toshiba Electronic Devices & Storage Corporation (TDSC) today announced the launch of “TLP2735,” a high speed IC photocoupler for MOSFET gate signal insulation and the company’s first to incorporate an under voltage lockout (UVLO) function. UVLO cuts the photocoupler’s susceptibility to noise like that generated in power supply cables, and can prevent malfunctioning when products are switched on. 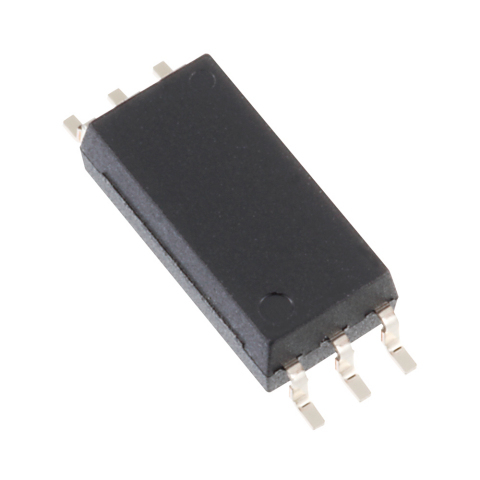 With an isolation voltage of 5kVrms (min) between the input and output, as well as conformity with the IEC60747-5-5 photocoupler safety standard, TLP2735 is also suitable for applications requiring high insulation performance. The operating power supply voltage in the output side is 9 to 20V, specifications suited to MOSFET gate voltages, and the propagation delay time is 100ns (max), fast for a photocoupler designed for MOS gate insulation. As its power supply voltage is high, it can also be used for IPM input insulation. Simply adding a buffer circuit to the subsequent stage of TLP2735, a MOSFET insulation gate drive circuit can be implemented. In addition, with its operating temperatures of -40 to 125oC, it can also be used in a high temperature environment. TDSC will continue to deliver products that meet the needs of customers by promoting the development of a diverse portfolio of photocouplers and photorelays tailored to market trends. Follow the link below for more on the new products and Toshiba’s photocoupler line-up.